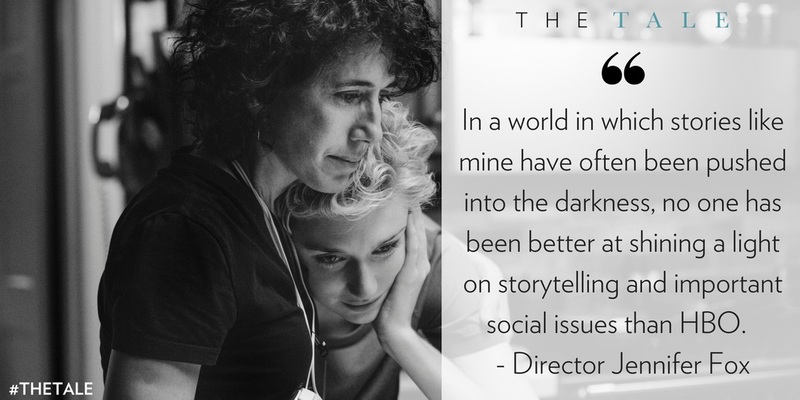 Writer-director Jennifer Fox spoke to IndieWire about her incredible efforts to drive discussion of "The Tale" beyond what's in the movie. Jennifer Fox made a well-considered decision when taking her Sundance film to HBO, but she always wanted the conversation around “The Tale” to extend beyond TV. Her cinematic memoir, chronicling the filmmaker’s investigation into Fox’s repressed history of childhood sexual abuse, was always meant to serve as a bridge from tragedy to healing — for more than just one person. “Like, let’s look at it both ways: Let’s investigate the film, but let’s investigate how the film relates to you,” she said. Since its debut on HBO, the Emmy-nominated film has screened around the world. Following its breakout screening in Park City, Fox’s film has played at festivals including the Tribeca Film Festival (New York), Sundance London, the Transylvania International Film Festival (Romania), the Oslo Pix Festival (Norway), Filmfest München (Germany), the Durban International Film Festival (South Africa), and the Stony Brook Film Festival (New York). But festivals are just part of the bigger picture. Fox and HBO have screened the film for a variety of organizations that share connections with the film’s story. Just a few of these “outreach screenings” include the National Association for Social Workers Conference in Washington D.C., Aspen Spotlight Health, World Childhood Foundation in Sweden, and Women in Film & Television UK. Some use clips to drive discussion, while others have in-depth conversations with Fox — and the audience. Events like these deliver the film’s messages of self-reflection, acknowledgement, and hope to large groups who need them most, but Fox also took steps to facilitate conversations on a more personal level. 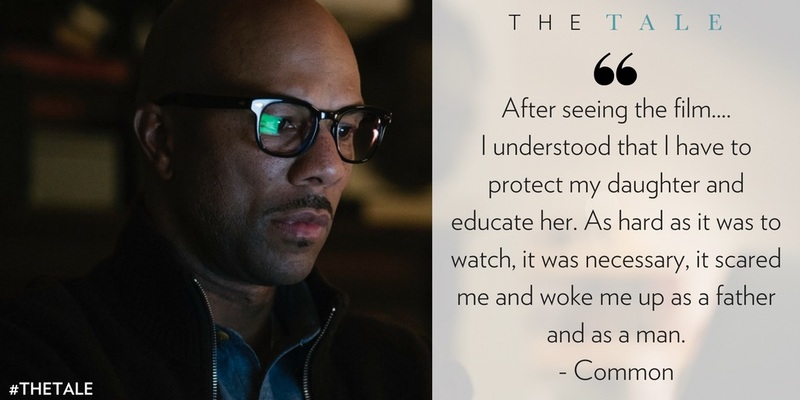 Anyone who signed up through the film’s website would receive a Google Drive link to discussion circle materials, including flyers to post on social media, a 24-page screening guide for individuals, a 30-page facilitator’s guide with statistics about abuse as well as steps to take action against it, a social media toolkit, and tips for discussion circle leaders, including how to support and help any viewers who were triggered by the film. Fox hoped combining her personal journey without a veil would help audiences connect in that way. “The Tale” is a blend of truth and fiction as only a documentary filmmaker could evoke, and Fox has been an accomplished documentarian for decades. This is her first scripted feature. Fox said she wouldn’t have been able to make this film in her 20s, and she knows that because she tried. Now, Fox wants to keep making films that utilize elements of fiction and documentary filmmaking.